1940: Aliens in New Zealand are not allowed to listen to radio broadcasts other than from New Zealand and Australia. They must register their radio sets with the police. They are also not permitted to have telephones.1 Private radio transmitters are impounded under the Radio Emergency Regulations. 1940 air navigation chart showing DF stations at Auckland (Musick Point), Awarua, Lord Howe Is, Sydney and Brisbane. 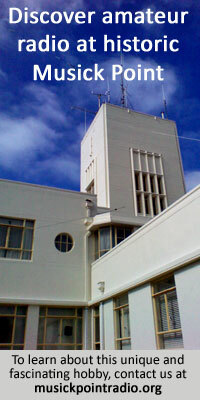 Dept of Civil Aviation. Click to enlarge. 1942: On 15 Oct, eight P&T radio operators serving as coastwatchers on Tarawa are massacred after being taken prisoner by Japanese troops. 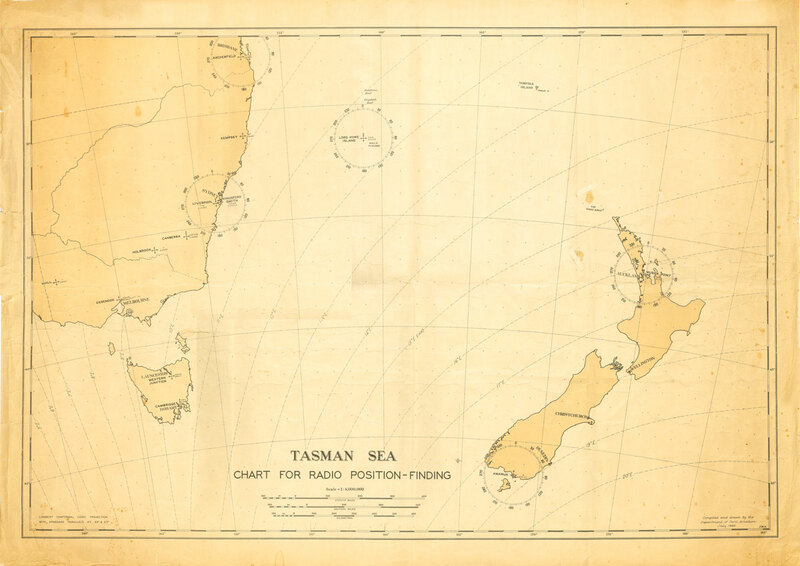 1945: Makara Radio opens in June. 1946: Private radio transmitters impounded during World War 2 are returned to their owners. 1 Wilson, A.C. (1994). Wire and wireless: A history of telecommunications in New Zealand 1890-1987, (p 131), Palmerston North, New Zealand: Dunmore Press. 2 Wilson, A.C. (1994). Wire and wireless: A history of telecommunications in New Zealand 1890-1987, (p 134), Palmerston North, New Zealand: Dunmore Press. 3 Wilson, A.C. (1994). Wire and wireless: A history of telecommunications in New Zealand 1890-1987, (p 140), Palmerston North, New Zealand: Dunmore Press.